Buy our Radio Yogi Package and Save! Our Level I & II classes are a blend of stretching and strengthening. New Power Yoga and Vinyasa Flow classes available. We also offer Beginner Yoga. 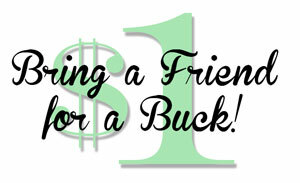 “Bring a Friend for a Buck!” Come to class with a friend for a dollar – pay when you arrive for class. For use one time only! Register for Classes Today! Space is limited! 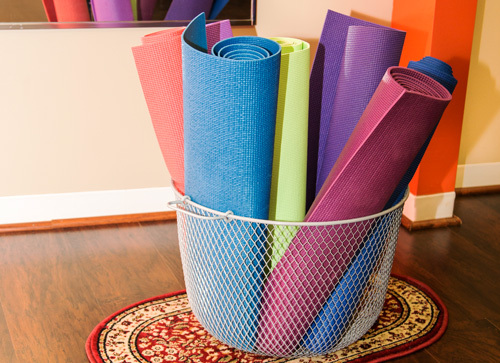 Sign up for our Radio Yogi Fall Package and Save! Four classes $30 or Eight for $50! NOTE: Select either four or eight classes, price will adjust when the required number of classes has been selected. Select your classes, tell us who you are, then finalize your registration. — You may pay online using credit card with paypal – no need to sign up with PayPal! — You may pay cash upon class entry. — If you have a prepaid voucher/coupon/groupon, please register and bring valid coupon with you. Please cancel at least 30 minutes prior to scheduled class. Limited space available. Please contact us via email or call 301-392-RYOG (7964) to reschedule. Please present valid coupon upon attending class. New! Register for Classes Online! “Bring a Friend for a Buck!” Come to class with a friend for a dollar – pay when you arrive for class. ** One-time use only**.